Professor Murphy is an adjunct faculty member in the Homeland Security and Strategic Intelligence department at Northeastern University, and a full-time faculty member in Massachusetts Maritime Academy’s Emergency Management and Homeland Security department. Professor Murphy is also a Lieutenant Commander in the U.S. Navy Reserve, where he is currently assigned to the Office of Naval Intelligence (ONI) in Newport, RI. 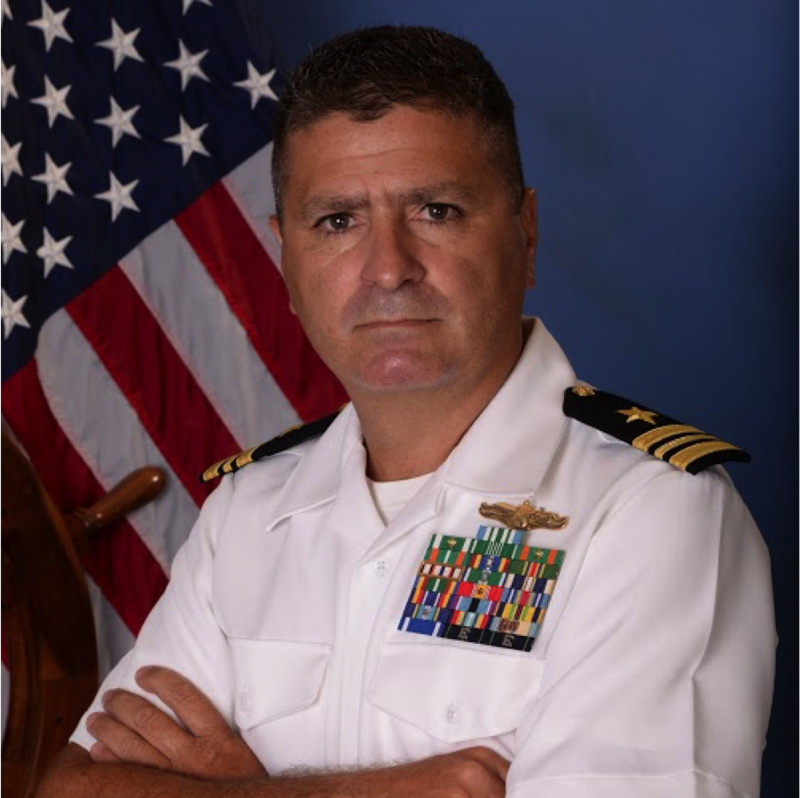 Professor Murphy has served at sea aboard USS MOUNT WHITNEY (LCC-20) and US Coast Guard Cutters MAUI (WPB 1306), MIDGETT (WHEC 726) and BOUTWELL (WHEC 719). His shore assignments have included: US European Command (EUCOM) Staff; Joint Intelligence Center Central Command (CENTCOM); 379th Air Expeditionary Command (forward deployed to Iraq and Afghanistan); Riverine Squadron (RIVRON) Eight; and Navy Recruiting District New England. In addition to his nineteen years of service in the Navy and Coast Guard, Professor Murphy has served twenty years in the private sector as a management consultant in the Americas and Europe with Ernst & Young, IBM, and PricewaterhouseCoopers. Professor Murphy received his Bachelor of Arts degree from the University of Massachusetts, Master of Arts degree from Georgetown University, Master of Science degree from the National Intelligence University, and Doctor of Education degree from Northeastern. He is a graduate of the American Academy in Rome and the Naval War College, and he is currently pursuing his doctorate degree at Northeastern University. U.S. National Security and Intelligence Community, Guest Lectures, Escuela de Defensa Nacional, Argentina, 2016. How the J2/N2 Can Play a Leading Role in More Data-Informed Regional Maritime Security Cooperation Planning, Naval Intelligence Professionals Quarterly (online edition), July 2016. Building the Right Alliances: A Comparative Intelligence Assessment Model for Regional Maritime Security Cooperation Planning, (nominated for Outstanding Master’s Thesis on Operational Intelligence), National Intelligence University, 2013. “Russia’s World Turned Upside Down: How oil, melting ice, and shifts in military and economic power will shape Russian naval strategy,” (feature article) Naval Institute Proceedings, (peer-reviewed journal) May 2012. “Intelligence, Surveillance and Reconnaissance (ISR) in the Littoral Fight,” Naval Intelligence Professionals Quarterly, 2011. 29 military service medals and ribbons, including: Joint Service Commendation Medal, Navy Commendation Medal (x5), Navy and Marine Corps Achievement Medal (x4), Coast Guard Achievement Medal, Army Commendation Medal, NATO ISAF Medal (Afghanistan), Humanitarian Service Medal, National Defense Medal (x2), and the Navy Expert Pistol and Rifle Medals.